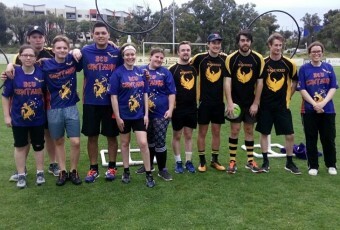 The Murdoch Mandrakes are WA’s very first university quidditch team. Established in 2012, we are a casual social team playing for fun. As one of the original teams from the Perth Quidditch League, we have a diverse range of players from experienced to casual players. In the end, we all play to have a good time and are always looking for new recruits! We train weekly at the South Street Murdoch University Campus, open to everyone interested. If you’re looking for a fun, new way to make friends, join us for our training sessions, on Wednesdays, 4:30 to 6:30 pm at the Lower Bushcourt. You do not need to be a Murdoch student, all you need is a willingness to have fun! Athletic ability and a knowledge of Harry Potter are not pre-requisites, only an added bonus. We mostly run during the university semesters, but are always looking for new players so feel free to join anytime throughout the year!